For four days in May, fluid power professionals from across the offshore industry will come together to share ideas, solutions, and more at the 2019 Offshore Technology Conference in Houston, Texas at NRG Park. OTC is the largest global event dedicated to highlighting technology in the oil and gas sector. An estimated 65,000 professionals are expected to attend this year’s event to interact with more than 2,500 exhibitors from 42 countries. OTC Golden Anniversary Gala Dinner: While recognizing the industry’s most distinguished individuals and organizations, the event will donate the net proceeds from the dinner to the 2019 beneficiary, Spindletop Charities, which spearheads successful programs targeting child abuse prevention, pediatric medical research, drug and alcohol abuse prevention and rehabilitation, education and scholarships, therapeutic services, and after-school programs. Around the World Series: Global industry leaders will discuss new licensing and business opportunities, as well as recently introduced technologies. Hear the latest information from principals representing: Norway, Australia, Mexico, Canada, France, United Kingdom, Israel, Ghana, and Guyana. Spotlight on New Technology Awards: Each year, the OTC recognizes innovation with the Spotlight on New Technology Award. 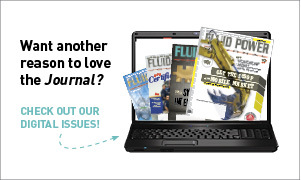 This program is exclusively for OTC exhibitors and showcases the latest advancements. Join the presentation to see this year’s winners who are leading the industry into the future. OTC Energy Challenge: The OTC Energy Challenge is a high school competition that will culminate in an event within the formal OTC program on Tuesday, May 7, 2019. Each team will work in solving a real-world energy challenge. All competing teams will present their findings to the broader OTC audience via an e-poster session and compete for a scholarship prize. Marine Renewables Technical Sessions: Join global experts, authors, and peers the first week of May at OTC 2019 to discuss the role renewable energy will play in the future of offshore. Advancements in marine renewables have impacted the offshore sector on a global scale. In response, OTC has expanded its program content and offers technical sessions on wind, hydrokinetic, and gas hydrate advancements. OTC Night at the Ballpark: Join your fluid power colleagues for OTC Night at the Ballpark for an evening of Major League Baseball. Come out to watch the Houston Astros play the Kansas City Royals at Minute Maid Park. 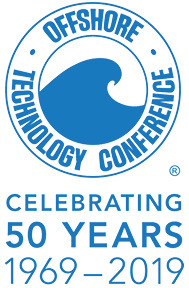 To learn more about the conference, including how to register, visit the OTC official website at www.otcnet.org.